These dates in May will help you plan fun activities for school, after-school, or camp programs. Want to know if you should wear mismatched socks, a silly hat, or make a special treat to celebrate? You've come to the right place. Here's our printable, editable, downloadable calendar of May holidays. Enjoy! 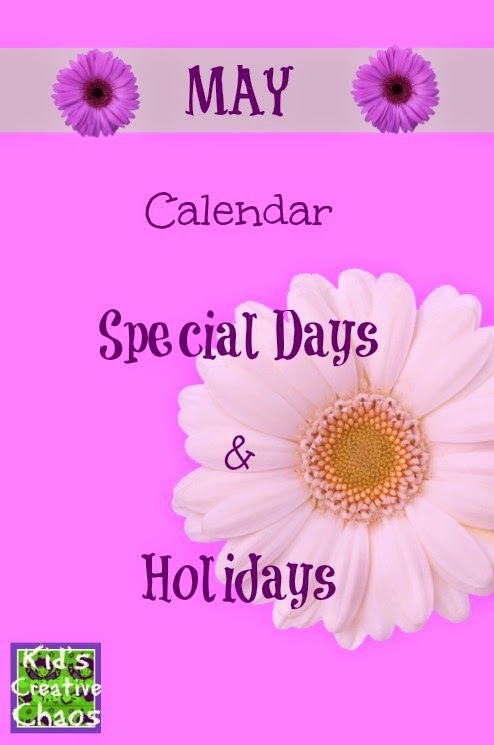 May Calendar of Special Days and Holidays. Mother's Day is the second Sunday in May. In 2016, Mother's Day is May 8. May 1 - National Mother Goose Day! 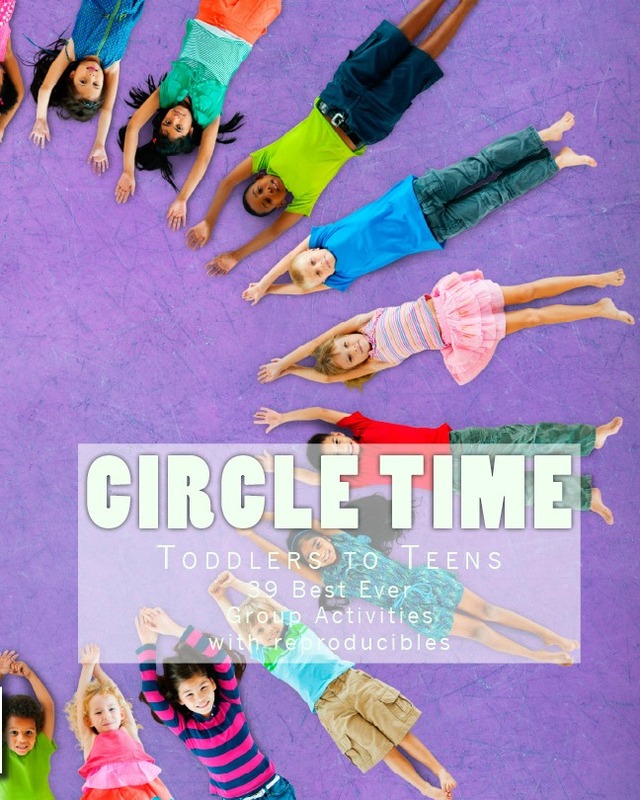 So celebrate by dressing up like your favorite Nursery Rhyme Character, reading a bedtime story, or making a fun Mother Goose craft (We have some chicken crafts). Play a Goose game. May 3 - International Space Day began in 1997. Celebrate with an outer space craft for kids, a trip to a local history center or space museum, or wear an astronaut suit around town. May 4 - National Star Wars Day! Hip hip hooray for Yoda! We've got a Yoda craft. Sport a set of green ears to school today! Make a Yoda mask... and don't judge all those crazed Star Wars fans walking around in authentic looking costumes. May 12 - National Limerick Day. Memorize a limerick... What is a limerick? You know... you really do. Something about a lady from France? Eh, there are nicer ones too. Go write your own limerick today. It is a nonsense poem. You make a lot of non-sense, right? 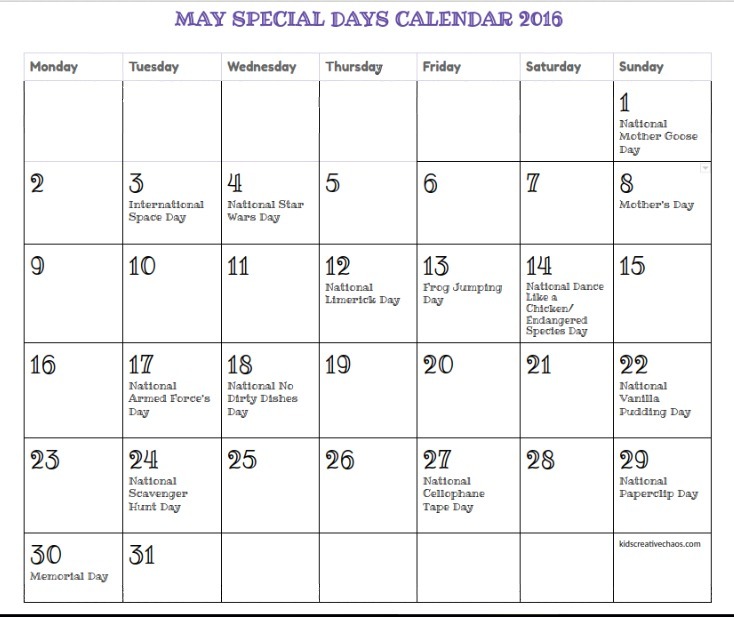 May 13 - Yes, Frog Jumping Day is a real day. So, go find a frog and challenge it to a jumping contest. Wait. No, that's not right. Grab two frogs and ask them to have a jumping contest. The frog who jumps the farthest wins. You could dress like a frog and play a healthy game of Leapfrog instead. Hey, if you do that will you make a video and share it with me? Thanks! May 14 - National Dance Like a Chicken Day. Do you know how to do the Chicken Dance? No? What, you've never been to a wedding. Cluck, cluck boy, do we have chicken crafts for kids. We also have Chicken printables and chicken cartoons. Did you take a video of your dance too? Yep. Share it here in the comments. May 17 - National Armed Force's Day. Give thanks to a serviceman or veteran. Send a card, send a craft, give them a hug. Let them know you appreciate their service to our country. May 22 - National Vanilla Pudding Day. Only because I have some things in this blog to do with Vanilla Pudding. Eat some today and make some edible finger paint with Vanilla pudding. May 24 - National Scavenger Hunt Day. Go outside. 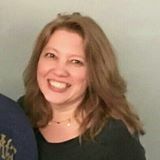 It is May, have a real life scavenger hunt. Here are some fun scavenger hunt ideas. Is it raining? 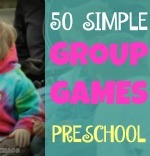 Go play our Pinterest Preschool Scavenger Hunt. May 29 - National Paperclip Day. Make a paperclip necklace and wear it to school today. Don't steal your teacher's paperclips. The teacher's desk is off limits. Things to do with paper clips. May 30, 2016- Memorial Day. Ditto with the National Armed Force's Day, but now we remember those who served and died. Wear a ribbon, lay a wreath on a tombstone, make a scrapbook, share a story. Wave the flag. You could also dress up like a flag and walk in a parade, I guess. Whatever floats your boat.